During yesterday’s Gears of War Pro League stream, Coalition studio head Rod Fergusson confirmed that Gears of War 4 is targeting a Fall 2016 launch. The original reveal trailer from E3 2015 listed the game for a Holiday 2016 release, but it looks like we’ll be getting our hands on it a little earlier than expected. 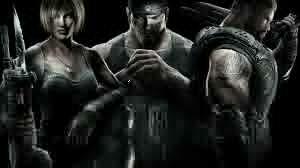 The E3 gameplay revealed a darker, near-survival horror motif for the next Gears. Equipped with flashlights, new Gears soldiers JD and Kait move through abandoned city ruins on the hunt for a Pouncer, a new monster type. Although the trailer revealed little regarding new gameplay mechanics or story direction, expect news about that to materialize as soon as February, where the official Xbox magazine will run an exclusive Gears 4 cover story. Gears of War 4 will also benefit from a Xbox One beta test this Spring, with purchasers of the Gears of War: Ultimate Edition receiving early access. If you wish to benefit from the early access, you’ll need to have played the Ultimate Edition on your profile by March 1st, 2016. The Coalition also revealed that 45% of the 1 million plus owners of the Ultimate Edition were entirely new to the franchise, giving further indication that Gears of War 4 will be a system seller. As of 2014, the Gears of War franchise had grossed over $1 billion dollars, with sales of around 22 million copies across the entire series. That’s a lot of Gears fans. The Coalition’s Rod Fergusson previously said that the studio’s work, re-mastering the original Gears of War, helped them get to grips with the series’ roots – which is where Gears of War 4 seems to be headed. Check out our full list of most anticipated 2016 Xbox One titles, where Gears of War 4 is a firm fixture.